Personally I LOVE how this opens in a post-apocalyptic world! What can I say, BEYOND THUNDER DOME holds a special place in my heart. Haha. 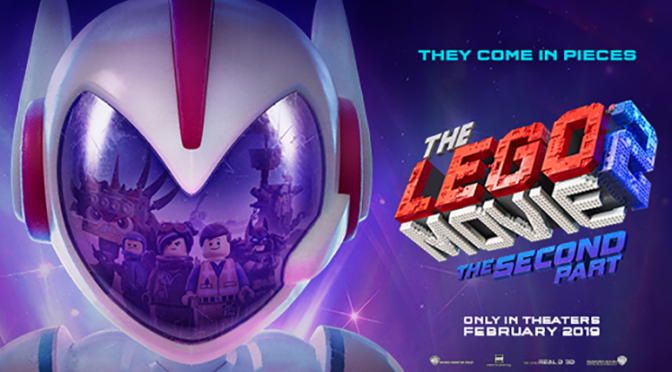 But THE LEGO MOVIE 2: THE SECOND PART opens on February 8, 2019! What do you think? Let us know on the Fuzzybug Facebook Page! Previous PostTrailer: ‘SPIDER-MAN: ENTER THE SPIDER-VERSE’Next PostNew Trailer for: ‘BOHEMIAN RHAPSODY’!